In case you’re wondering why our acupuncturist or herbalist, asked you to stick out your tongue. It may seem like a strange request, but you will soon understand why your tongue is so telling. A basic tongue analysis can teach you information about your current health and help you improve your overall well-being. Your tongue is an outward representation of what is happening on the inside of your body. Learning what your tongue has to say can help you find balance throughout your body. Is it light pink? Is it vivid red? Perhaps it’s slightly blue? Do the colors vary? Is your tongue long and pointy, or is it wide with tooth-marks around the edges? Is it puffy? Does it stretch or can you do you struggle to stick it out of your mouth? Are there cracks? Is it bumpy or scalloped? Is your tongue smooth? It is soft? Is there a white area? Does it look yellow and oily? Is it dry? Or extra moist? Is there an even coating or does it change on parts of the tongue? Eat warm foods and herbs, moderate amounts of wild rice, buckwheat, and rye, to help absorb dampness from your system. Avoid cold foods and greasy fried foods. Incorporate more fish, steamed vegetables, salads, seaweed, wild rice and fruit into your diet. Avoid spicy, rich, and greasy foods, alcohol, sugar and limit your red meat consumption. Also bitter foods and herbs drain the heat in your system. Incorporate berries, seeds, honey, yams, squash, quinoa, rice, sour foods, and parsley into your diet. Avoid salty, spicy and fried foods, sugar, and alcohol. Take extra time for yourself. Incorporate a relaxing schedule into your bedtime-routine, such as gentle yoga or meditation. Herbal teas like chamomile, California poppy, lemon-balm can be beneficial. Herbal tinctures of ashwaghanda, angelica can improve you condition. Use tinctures with practitioner supervision. Your ear has more than 100 Acupoints which relate to various parts of your body and organs. 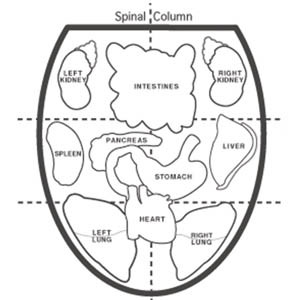 The first structures to develop in a fetus are the the brain, spinal cord and external ear. 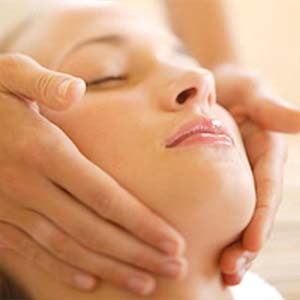 In turn, there is a strong relationship between the central nervous system and the external ear. The ancient Chinese viewed the ear as an upside down fetus in the womb with correlating body parts arranged in and on the ear. The lobe of the ear relates to the head, brain, & face and the top of the ear relates to the feet, knees and ankles, etc. . . 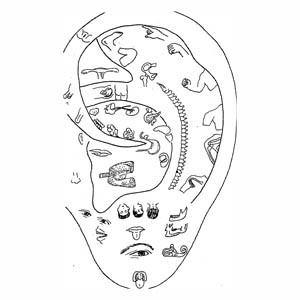 Similar to a Tongue analysis, our acupuncturist can determine so many health issues just by analyzing your ears. Acupuncture stimulates specific points to treat conditions such as headaches, pains, anxiety, sciatica, digestive disorders, sleeping problems, allergies, and even toothaches. We have remarkable success rates with ear-focused acupuncture.